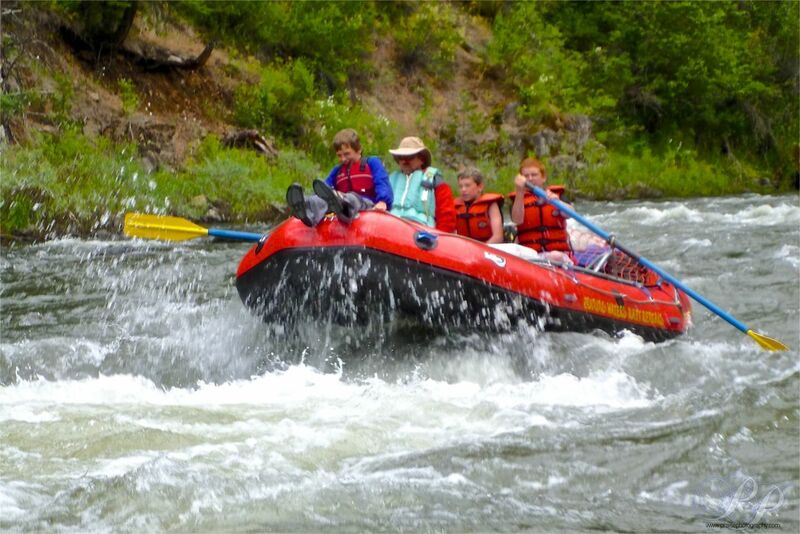 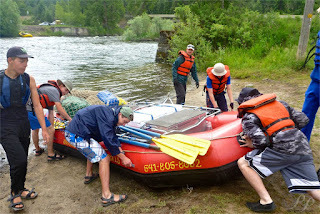 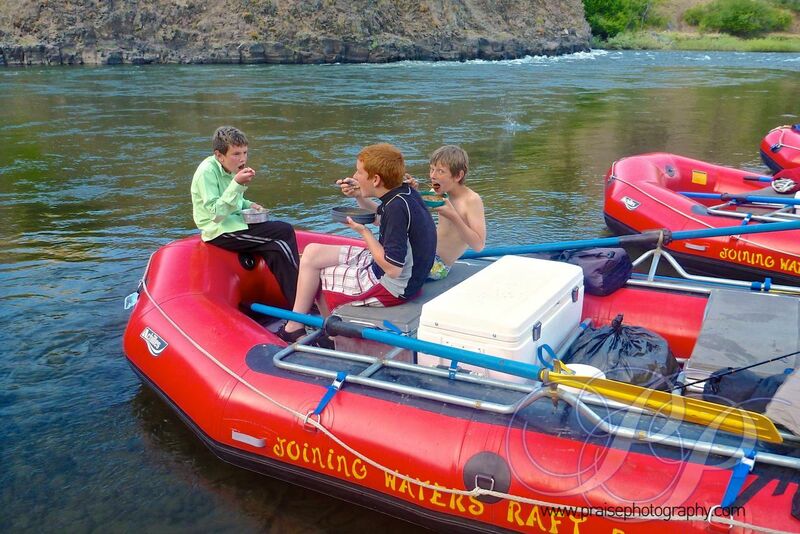 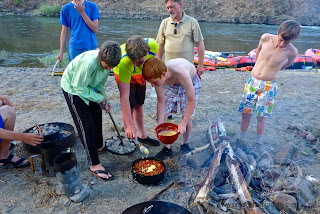 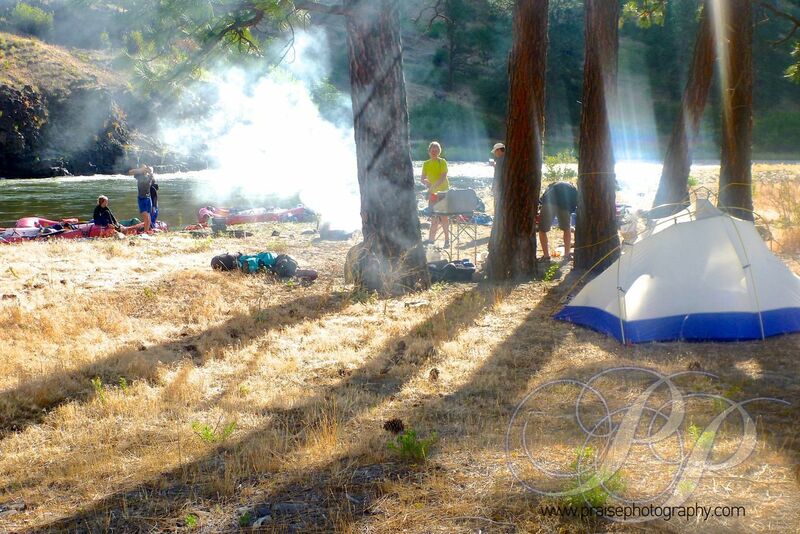 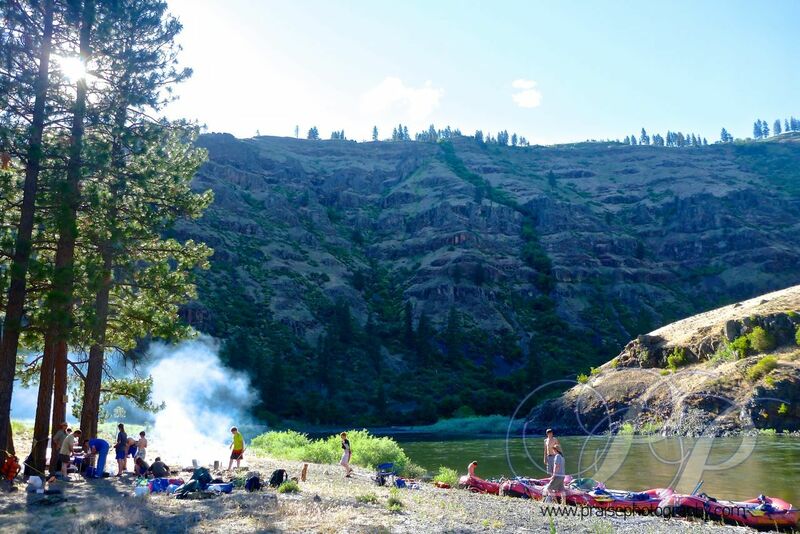 Thirteen Scouts and four adults from the La Grande Presbyterian Church Scout troop enjoyed an excellent three day, two night trip down the Wallowa/Grande Ronde River, June 21 through June 23. Each Scout had the opportunity to row and learn the intricacies of "reading" the water and the rapids. 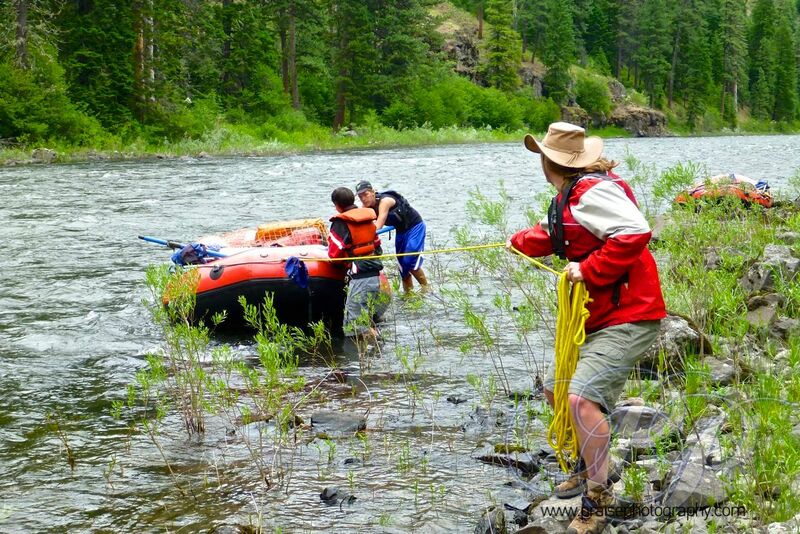 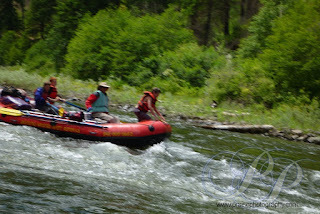 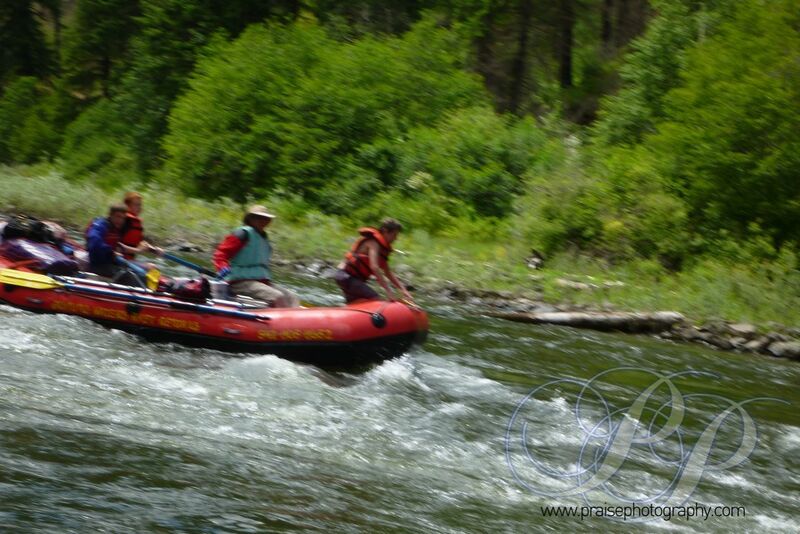 The showed great teamwork in hauling rafts upstream when we needed to move to a better campsite. The collaborated in three cooking groups to prepare two dutch oven dinners and two dutch oven breakfasts. We started out in the rain, but by the time we set up camp Friday afternoon, the sun had come out and we were soon dry. 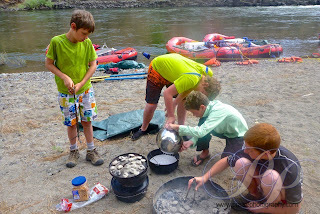 The boys ages are between eleven and sixteen, yet still they enjoyed cross generation sharing and helping. 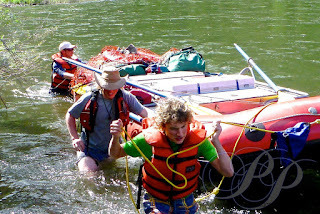 Out pace was leisurely, and the lessons deep.